Discover a relaxed Virgin Islands beachfront getaway overlooking Lindbergh Bay, one of the most beautiful white sand beaches on St. Thomas. The historic attractions and shopping in downtown Charlotte Amalie, St. Thomas are just minutes away. The Emerald Beach Resort invites you to enjoy uninterrupted ocean views just steps from the warm Caribbean surf. Emerald Beach is a 100% beachfront resort with all rooms having beautiful ocean views surrounded by lush tropical gardens and offering resort style amenities. 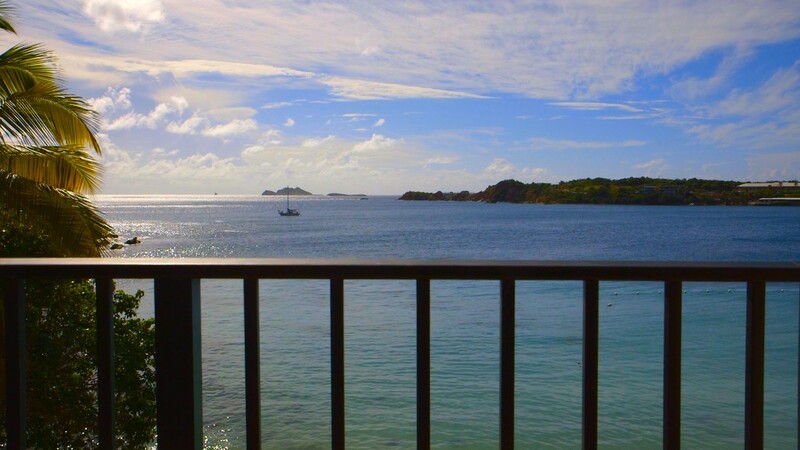 We welcome you to create your very own personalized adventure from our St. Thomas resort. Paddle an ocean kayak on Lindbergh Bay or sip your favorite Caribbean cocktail while lounging by the oceanfront pool. Spend your day exploring the history, culture and beauty that is St. Thomas and close with authentic island cuisine at our signature restaurant, Caribbean Fusion. Come experience St. Thomas from an exhilarating perspective at the captivating Emerald Beach Resort.